For some time, most likely up to a year (if not more), I’ll be using ESET as a security product on my laptop. Even before switching to a new laptop, I tried ESET NOD32 Antivirus 10 (2017) BETA on my crappy Lenovo whose only good feature is the keyboard (otherwise B940 is a CPU for the suicidal) and I was positively impressed (this beta is free to use through 10/31). 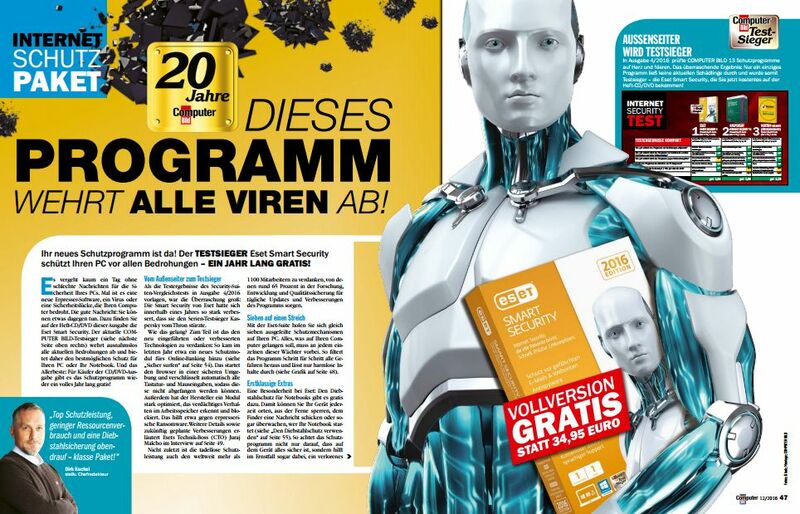 For the new Acer laptop, I’m on ESET Smart Security 9 (2016), mostly because I got a 1-yr license for the price of an issue with CD of ComputerBILD 12/2016 (3.70 €). It’s actually a strange choice for me. I never liked NOD32, and I never understood why this antivirus is so popular in some countries. It never had a free edition, and it was never reputed to provide the best protection available. I’ve tried it more than once and I was less than impressed. 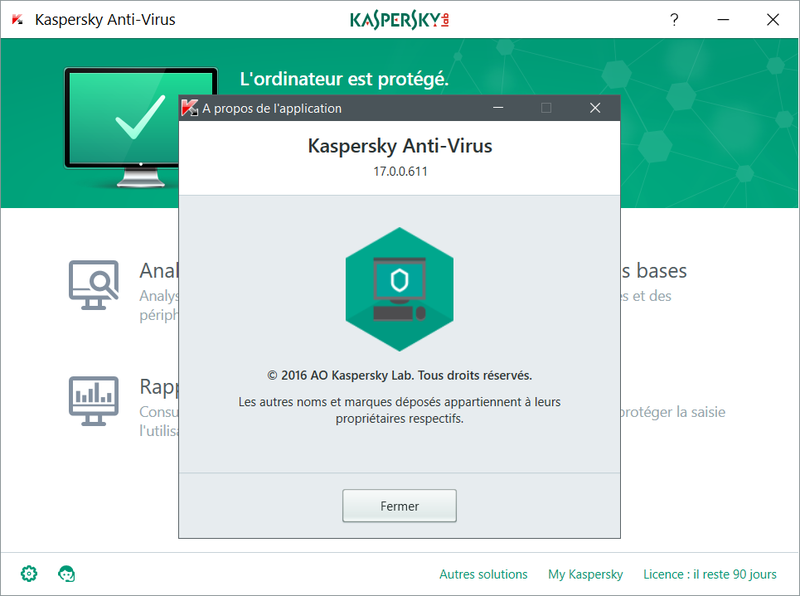 As a previous post should suggest, I’d rather recommend Kaspersky these days: they have solved the issue with the limited protection on 64-bit Windows 10, and their antivirus is quite enough–no real need for the IS or TS edition. The guys from ComputerBILD have planned otherwise though, and their agenda influenced my choice. Traditionally bound to commend the horrendously heavy GDATA, this time they managed to manipulate their test results so that ESET becomes “the best security solution in town.” As a result, they also offered the current edition of the Smart Security suite (unlike CHIP’s Kaspersky offer, which was the previous years’ version), with the caveat that it has to be registered again after 4 and after 8 months to be able to enjoy a full year’s protection. Also, unlike CHIP’s “special edition” software, CB’s license also works with the English range of products, so instead of installing the provided ess_nt64_deu.exe, I googled for and I installed ess_nt64_enu.exe. 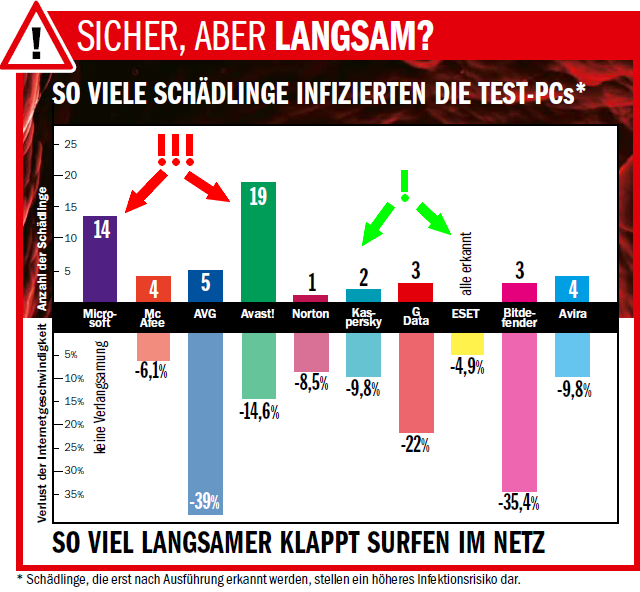 Now, I never trust the impartiality of labs such as AV Test or AV Comparatives, and I have no reason to trust a magazine’s own tests, even when made in good faith (which is also a tricky matter). Furthermore, one month a security product can offer a 99.9% or 100% protection, and the next month the score can drop to 98.7%–or vice versa. This is a very volatile environment, and there is no such thing as “100%,” but I only use such a security product in addition to my common sense. 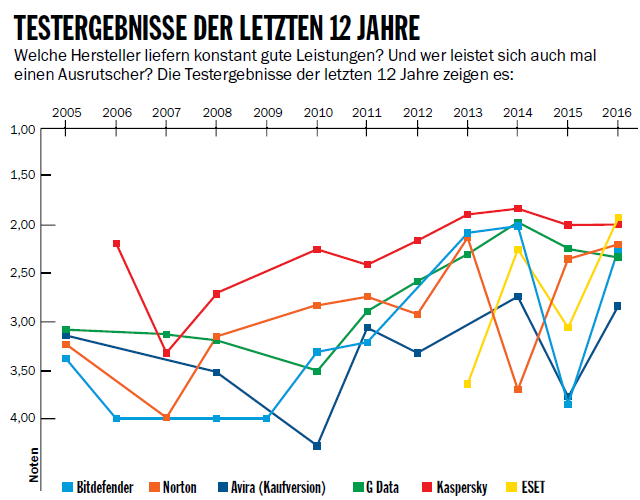 The test has been a bit reshuffled for the new magazine TestBILD 1/2016 (pp. 76-85), to only include 10 security suites instead of 13: they dropped the free editions of AVG, Avast and Avira; by the way, Avira Free was on the last place, even worse than Windows Defender, despite offering a better protection! Yes, with 19 uncaught malware samples, Avast IS was supposedly worse than Windows Defender, who only left 14 undetected samples! Unbelievable. 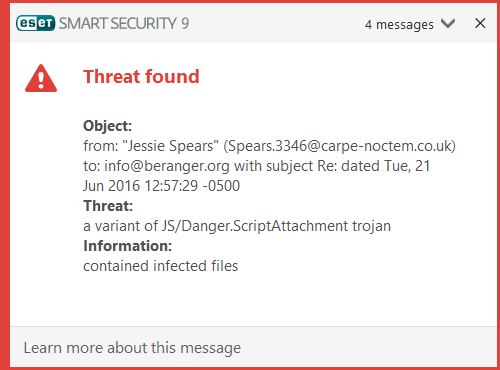 Currently, my experience with both ESET Smart Security 9 and NOD32 AV 10 BETA is good. Both products are in some ways similar to Kaspersky’s equivalent products, both in good and bad ways. The bad ways include the incredibly complex and illogically structured UI which makes you poke around in confusion for a setting (try to find the quarantined items); the good ways include the extremely low number of false positives (even for keygens and even with PUP detection enabled), while offering a really solid protection against both known and unknown (through HIPS) threats. With regards to PUP, ESET doesn’t like CHIP’s downloader; from more than two dozen hosting sites tested, it only blocks TurboBit.net and filescdn.com, but it blocks the last one completely (I wonder why)*; and filtering the e-mails with encrypted scripts or other dangerous attachments is handled better by ESET than by Kaspersky, as ESET shows more details about the blocked message. *It can be worse. SmartScreen blocks downloads from GBoxes.com for no good reason whatsoever. In addition, I’m also using Kaspersky Anti-Ransomware Tool for Business. 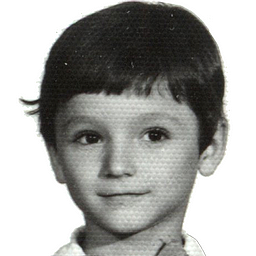 Umm… I’m back to Kaspersky, but the “simple” KAV, not KIS/KSS.